Donna Lynn Davis and husband, Terry, are songwriters and storytellers, and together they are the duo DonnaLynn. Thank you for your interest in our music. May love and compassion continue to grow. Let your light shine! They like to say that they have their roots firmly in the summer of peace and love, a foot in the troubled present and an eye to a brighter future. Their music is their way of sharing that brighter view; each song is intended to lift the listener’s spirit. Now more than ever people need to express love and peace however they can. DonnaLynn chooses, as Pete Seeger suggested, thinking globally and singing locally. 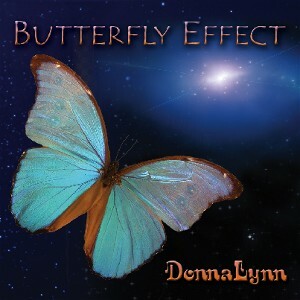 DonnaLynn loves to listen to and support singer-songwriters and have hosted numerous independent artists in the River Ridge House Concert series. Please check out those folks who have appeared previously (visit our House Concerts page) and plan to join us for an upcoming event (listed on the Performances page). How about hosting your own house concert? DonnaLynn is available to perform and provide a couple of enjoyable hours of music and stories. Inquire here. Enjoy the pictures and the quotes. Perhaps you’ll find some truth or inspiration in the quotes as we have. The quotes come from lots of folks, including some of our favorite teachers in life. We’ll add pictures along the way. Please click on the Inspiration button to learn more about those who feed our music and our spirit. Our paths were quite different. "The test of our progress is not whether we add more to the abundance of those who have enough; it is whether we provide enough for those who have too little."